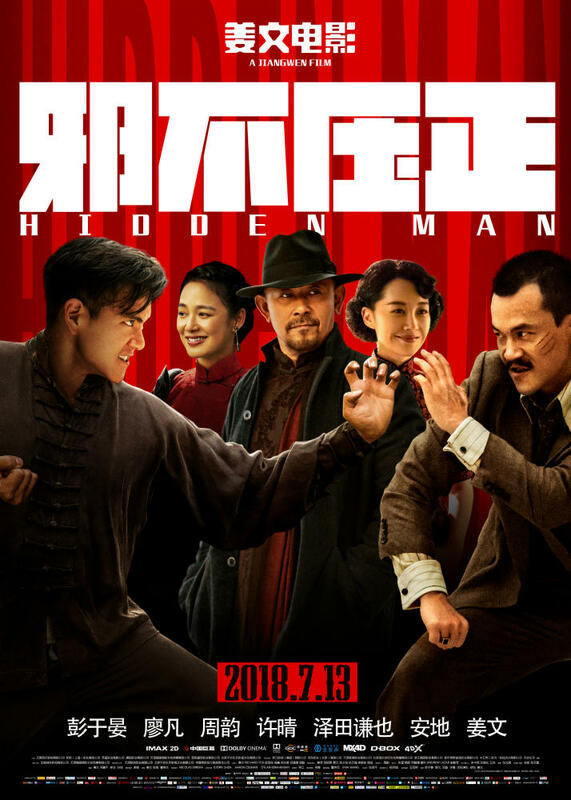 After 2010’s Sichuan-set Let the Bullets Fly and 2014’s Shanghai-set Gone with the Bullets, Jiang Wen closes his amoral trilogy of Republican China epics with the Beijing-set Hidden Man, where bullets are much scarcer than blades and fists. In 1922, Li Tianran’s (Eddie Peng) adoptive father, a land owner in Northern China, was murdered by Zhu Qianlong (Liao Fan) and Nemoto Ichiro (Sawada Kenya), after refusing to sign over his land to the Japanese for opium cultivation. Tianran nearly escaped and was rescued by American expatriate doctor Wallace Handler (Andy Friend), who sent him to San Francisco to study medicine. Now, 15 years later, he goes by Bruce, is a licensed obstetrician, and more importantly a highly-trained special agent working for a shadowy businessman (Steven Schwankert, in a role initially played by Kevin Spacey but later entirely re-shot for obvious reasons). Tianran still has vengeance on his mind, and so he welcomes the mission to go fight the Japanese in occupied Beijing (renamed Beiping), as it also provides him with an opportunity to exact revenge on Zhu and Nemoto. In Beiping, he’s welcomed and initiated to the city’s volatile political dynamics by Wallace Handler, and must navigate a dangerous web of hidden agendas involving not only Zhu and Nemoto, but also the former’s femme fatale girlfriend Tang Fengyi (Xu Qing), as well as a mysterious – and beautiful – crippled tailor (Zhou Yun), and most of all Lan Qingfeng (Jiang Wen), a powerful businessman seemingly playing all sides. Based on a successful internet novel by Jin Hezai, Wu Kong is Derek Kwok’s second stab at the Monkey King myth (after co-directing Journey to the West: Conquering the Demons with Stephen Chow), on which it is supposed to offer a new take – a rather hollow claim given that the countless Monkey King adaptations of recent years have all had completely different narratives from one another. 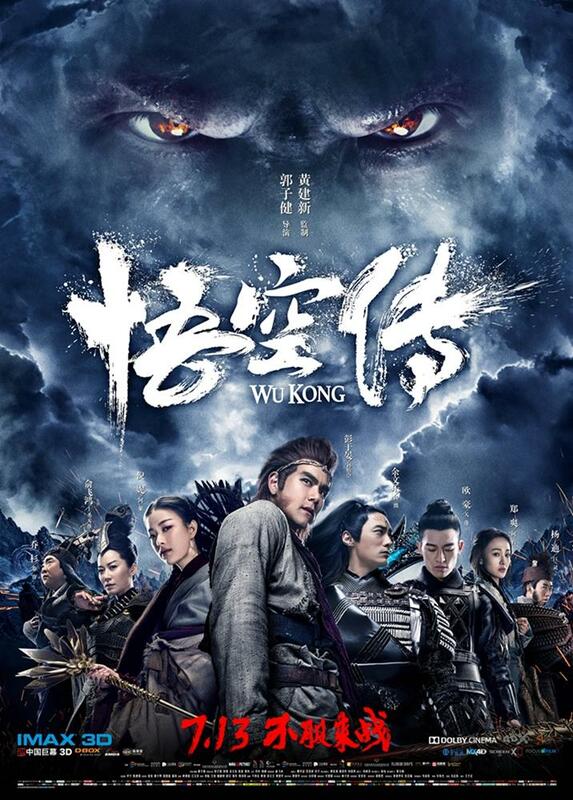 An origin story of sorts, it follows Sun Wukong (Eddie Peng), hungry for revenge after goddess Hua Ji (Faye Yu) had his beloved Mount Huaguo ravaged to punish a revolting demon. The Monkey enters the heavenly kingdom with plans to destroy the destiny astrolabe, a giant machine which preordains the fate of everyone on earth. There, he meets Azi (Ni Ni), daughter of his enemy Hua Ji, and is confronted by two immortals, Erlangshen (Shawn Yue) and Tianpeng (Oho Ou). After their fight takes them to earth, where their powers are ineffective, Wukong, Erlangshen and Tianpeng end up joining forces to help a small village on Mount Huaguo defeat a cloud demon. In the process, Wukong and Azi fall in love, Erlangshen finds a surrogate mother, and Tianpeng is reunited with Yue (Zheng Shuang), a long lost love. But soon, Hua Ji restores discipline with a bloodbath. 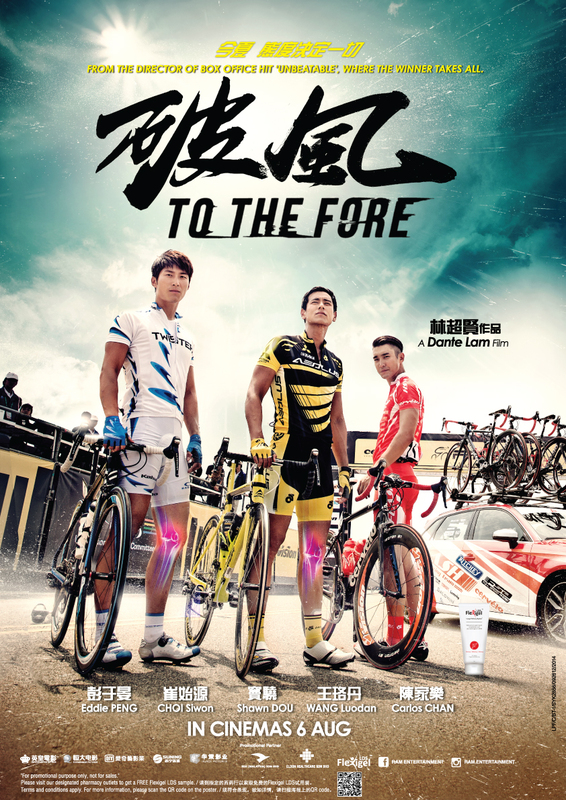 The second directorial effort of Han Han, a successful – and sometimes controversial – author, singer, prize-winning race car driver and China’s most followed blogger, Duckweed went from production to release in under four months, a rather impressive feat given that the result is as polished as the other Chinese New Year films of 2017, though with much less CGI and a modest small-town setting. Xu Tailang (Deng Chao) is a race car driver who just won a championship, and resentfully dedicates his victory to his father Xu Chengzheng (Eddie Peng), who raised him harshly and tried to stop him from pursuing his dream of racing. Tailang’s mother died giving birth to him, and Chengzheng spent the first six years of his son’s life in prison. Now, he has come to witness his Tailang’s victory, and the estranged father and son go on a car ride to sort out their issues. As they drive through a railroad crossing, their car is hit by a passing train, and they are rushed to the hospital, where Tailang’s life flashes in front of his eyes. But instead of dying, he finds himself transported to a small Chinese town in 1998, a year before he is supposed to be born. There, he meets none other than his father, an energetic young man full of dreams, who fancies himself a gang leader and plans to marry his childhood sweetheart Xiaohua (Zhao Liying). Tailang befriends his own father and joins his harmless gang, becoming the witness of the events that led to his own inauspicious birth. One of our most anticipated films of 2016, Call of Heroes is a neo-western set in China during the Warlords era (beginning of the 20th century). Blood-thirsty, demented Commander Cao (Louis Koo), son of Warlord Cao (Sammo Hung) rides into the village of Pucheng, where he kills three people at random. 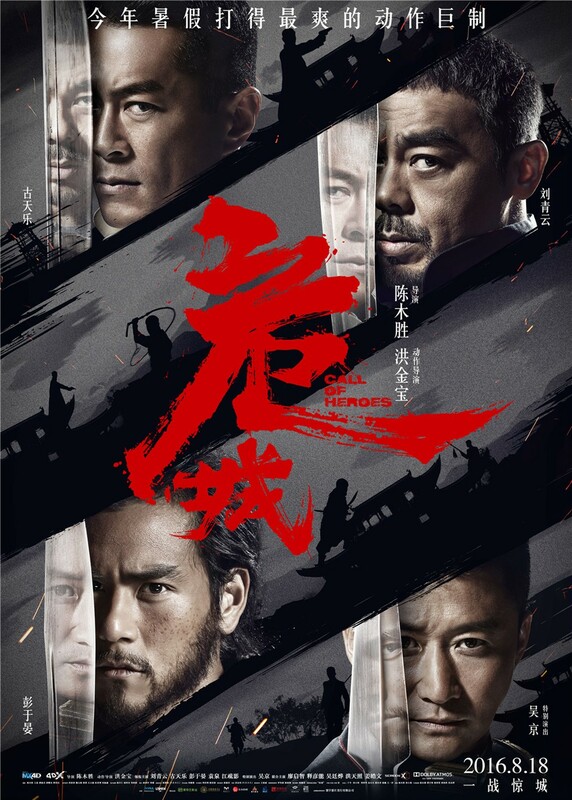 He’s arrested by sheriff Yang (Lau Chin Wan) and sentenced to death, but his second-in-command Zhang (Wu Jing) soon arrives, issuing an ultimatum to the people of Pucheng: to release Cao or to be massacred. But Sheriff Yang stands by his verdict, helped in the face of growing adversity by a wandering swordsman (Eddie Peng), who once was Zhang’s comrade-in-arms. In 2011, two Chinese commercial boats were attacked by Burmese pirates on the Mekong river, while passing through the Golden Triangle, one of the world’s biggest hotbeds of drug production, situated at the intersection of Thailand, Laos and Myanmar. Thirteen Chinese sailors were summarily executed at gunpoint then dumped in the river, while 900,000 methamphetamine pills were found on the scene of the killings. 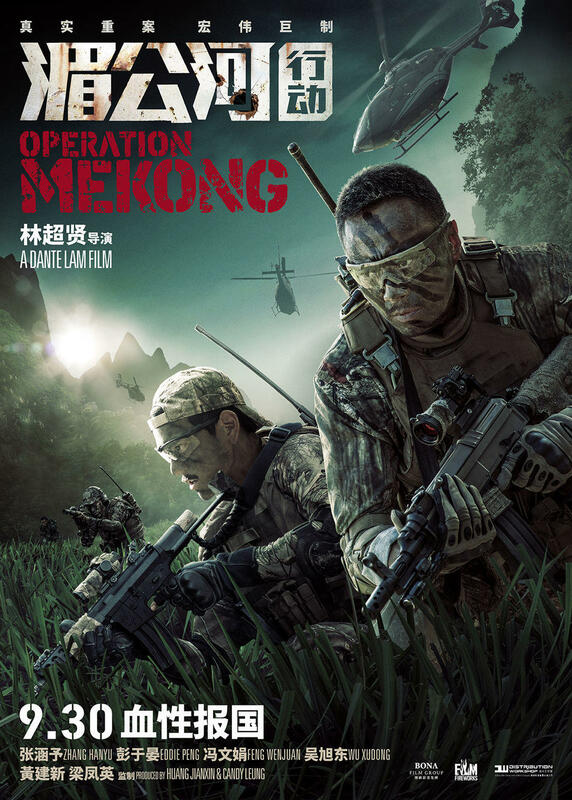 The following investigation and hunt for the man responsible for the massacre, a ruthless drug lord called Naw Khar, is the main narrative thrust of Dante Lam’s Operation Mekong, which follows a team of elite narcotics officers led by Captain Gao (Zhang Hanyu), joined by Fang (Eddie Peng), an intelligence officer who’s been operating in the Golden Triangle for a few years. They soon discover that the drugs were planted by Naw Khar on the Chinese ships, and endeavor to bring him to justice, at the price of many lives. 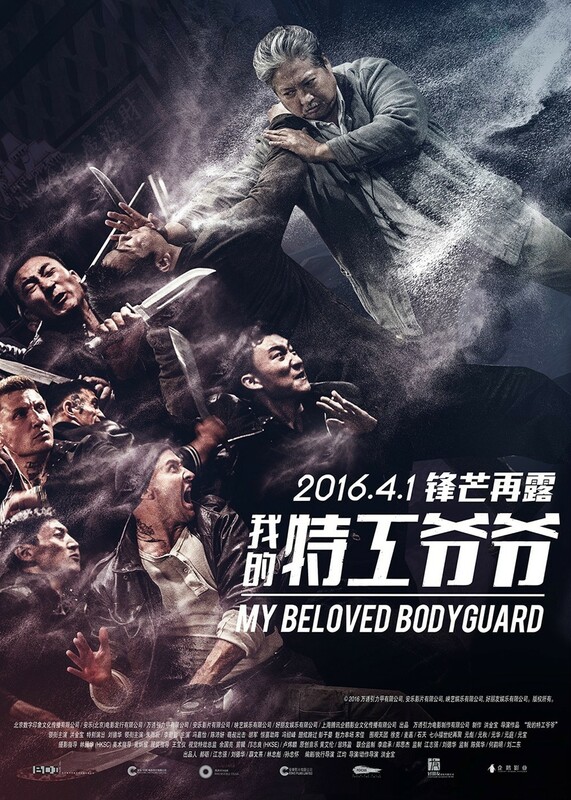 Sammo Hung’s first film as a director in nearly 20 years (since 1997’s Once Upon a Time in China and America), The Bodyguard came with a sense of expectation that was compounded by its starry cast of legendary old-timers (Karl Maka, Dean Shek, most of the Seven Little Fortunes) and A-listers both mature (Andy Lau, Tsui Hark, Hu Jun) and on the rise (Eddie Peng, William Feng), as well as a script (by Jiang Jun) that had earned some acclaim at the 3rd Beijing International Film Festival. Sammo Hung is Ding, a retired elite bodyguard who lives alone in his hometown near the Russian border, wracked with guilt after his granddaughter disappeared when he was supposed to watch over her. Dementia is creeping in on him, and despite the care of his lovestruck landlady (Li Qinqin), his only joy in this world is the friendship of his young neighbor Cherry (Chen Pei Yan), who often stays at his house to avoid her father Li (Andy Lau), a gambling addict. 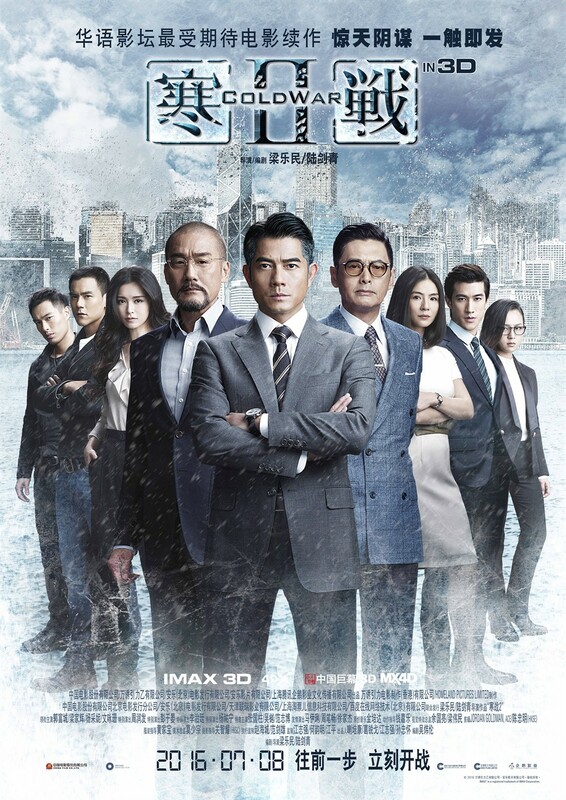 When Li goes on the run with a bag of jewels that he stole from the Russian mob to repay his debt to local gangster Choi (Jack Feng), Ding has to break out of his stupor to protect Cherry, who is about to become collateral damage as henchmen both Chinese and Russian hunt down her father. Shu Qi has had an interesting 2015: in between a critical triumph (Hou Hsiao Hsien’s The Assassin) and a box office high (Wuershan’s Mojin: The Lost Legend) were two romances, both fairly unsuccessful. Richie Jen’s All You Need Is Love was more on the goofy side, while writer Luo Luo’s directorial debut – and adaptation of her own book – The Last Women Standing is a more dramatic affair. 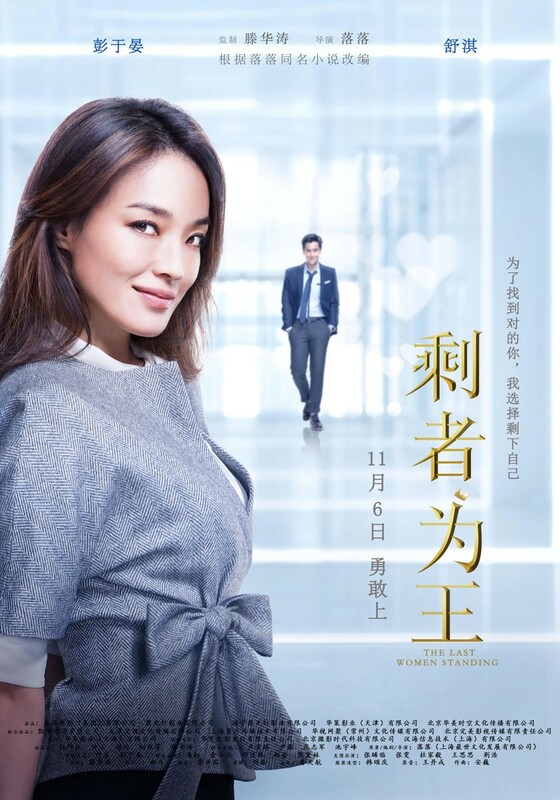 It follows Ruxi (Shu Qi), a driven businesswoman who’s great at her job but unlucky in love. Now well past thirty and still single, she’s among what Chinese society labels as “leftover women”. 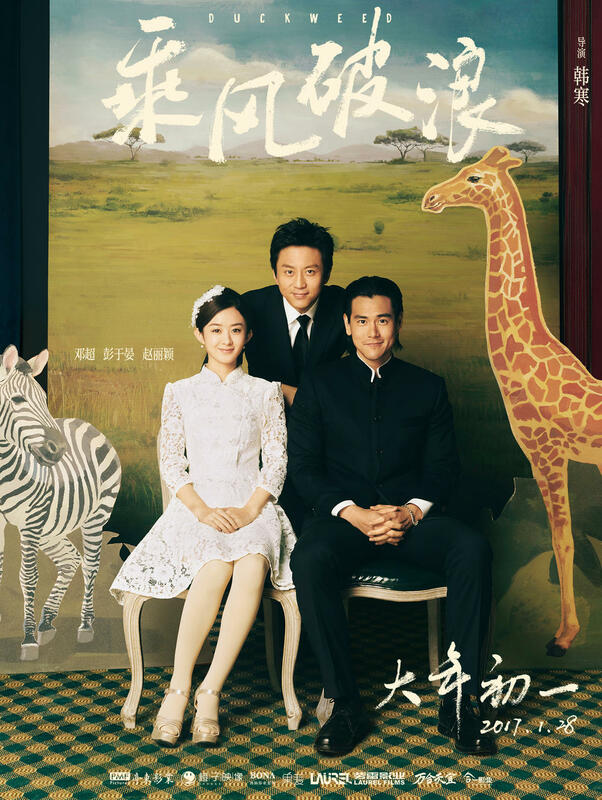 Her concerned parents (Pan Hong and Chin Shih-chieh) set her up with an upright but somewhat dull doctor (Xing Jiadong), but her heart has already chosen Ma Sai (Eddie Peng), a kind, handsome co-worker she just met. Her feelings for him are reciprocal and soon they’re in a dreamy relationship but the trouble is, he’s afraid of commitment.